Anyone that has a family understands the never-ending-amounts-of-laundry struggle! 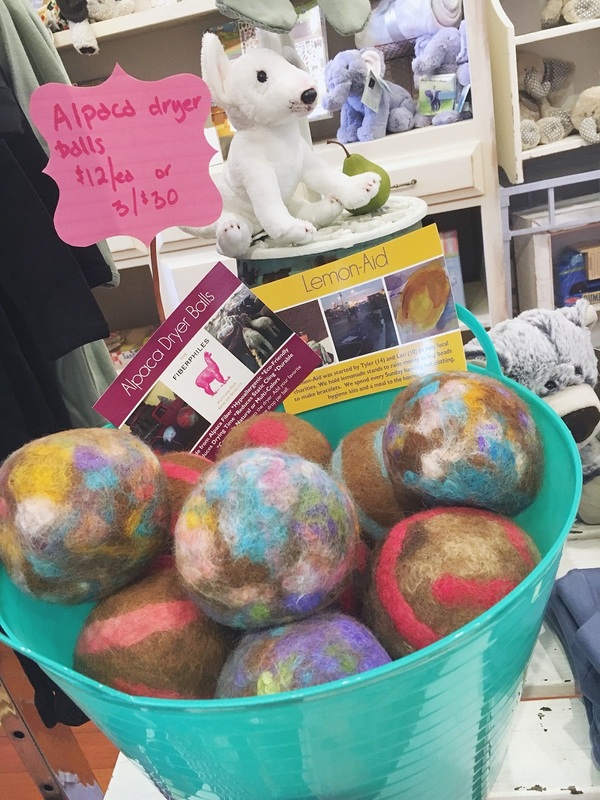 Our dryer balls are all handmade here in the states and are the perfect alternative to chemically laden dryer sheets. Cut dry time in half! Add a drop of your favorite essential oil to each ball, pop in the dryer, and enjoy freshly scented clothes! These dyes also conform to the Organic Trade Association's standards for Organic Fiber Processing. The company that hand makes each dryer ball here in the states has an awesome charitable mission! All proceeds go towards helping Downtown Dallas, Texas residents...clothing, hygiene kits, and meals are provided to the shelters in the area. They recently helped provide bikes and pants for the homeless who were ready to get back into the workforce. Usage: It is recommended that 3 be used at once for maximum effectiveness. Each dryer ball lasts about 1 year and will get smaller and firmer over time as the wool 'felts' together from the heat but will function just the same. A drop of your favorite essential oil can be placed on each one, lavender is a favorite! Bleeding from the dyes will not happen (read about the dyes used above). Each one is different and unique and may not look exactly like the picture.